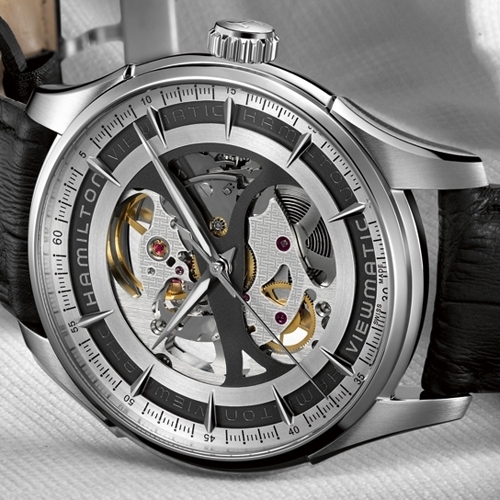 One exclusive movement and two distinct designs for this Jazzmaster Viewmatic Skeleton in versions for him and for her. For ladies, a floral-inspired composition on an iridescent white dial with dewdrop-shaped hour-markers. For men, a dial on multiple levels, crafted using the most advanced watchmaking techniques to reveal the magic of a well-oiled movement. 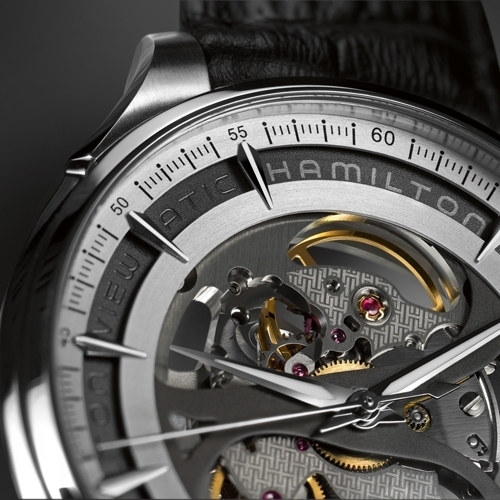 Through a combination of traditional skeletonising techniques and cutting-edge laser engraving, Hamilton shows that opposites really do attract… something men and women have been proving since the dawn of time. 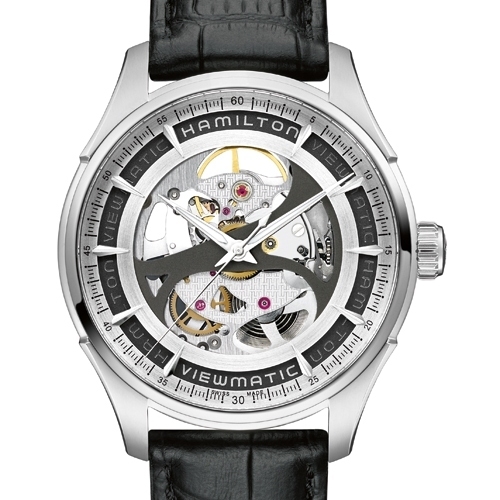 ---------- H-20-S skeletonised automatic movement, exclusive to Hamilton. Steel case, 40 mm (men's) or 36 mm (lady's). Different bracelets for the men's and lady's versions. Stainless steel, 36 mm (lady's) or 40 mm (men's). Anti-reflective sapphire crystal. Open-work back. Water-resistant to 5 Bar (50 metres). Iridescent white with dewdrop-shaped applied hour-markers (lady's). Silver and anthracite with luminescent applied hour-markers (men's). 5-row stainless steel or white leather with ruby-red lining, with easy-click attachment for interchanging (lady's). 5-row stainless steel or black leather (men's).